Manjari Mishra, Jacob Kaminsky and Andrew Thayer. Michael Marchant was absent for the picture. 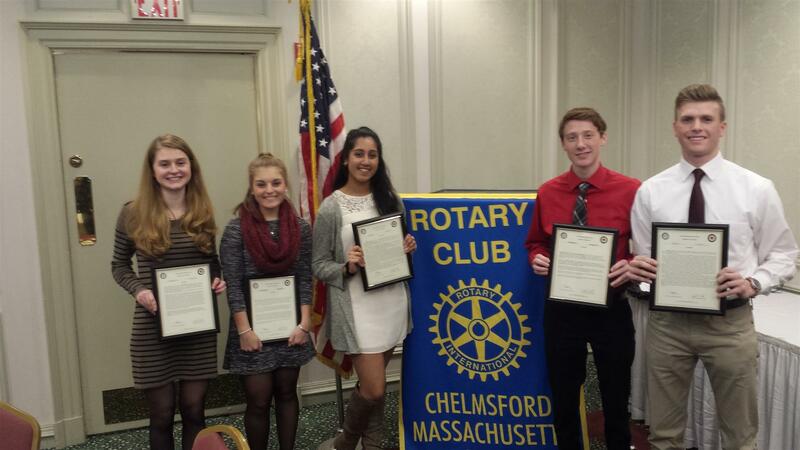 The Chelmsford High School/Chelmsford Rotary Club "Students of the Month" for December were recently announced. They include Elizabeth Kearney, Rachael O'connell, Manjari Mishra, Jacob Kaminsky and Andrew Thayer. Michael Marchant was absent for the picture.